Looks like spring is finally arriving here in the midlands. Most of my Bonsai are waking up from their winter dormancy. I have used the last few days to tidy my mame and shohin bonsai and re-pot were necessary. Having a bit of nice and relatively warm and dry weather is a definitely a bonus. Just a couple of pictures. My friend Stephan popped in the other day and dropped of a sample of his plant range. He is just starting his new Business Tranquil Plants and was looking for a bit of feedback. 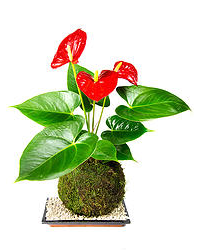 As you can see by the picture, he has taken House plants to the next step to make them contemporary and unique. 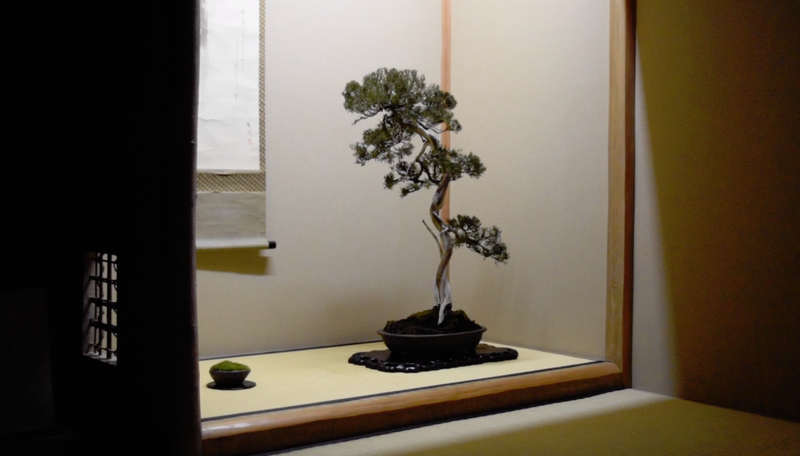 His inspiration comes from a traditional Japanese method called kokedama, where the plants roots are wrapped in moss rather than displayed in a pot. My wife loves the red Peace Lilly, so I you are looking for something a bit different and special, (not long now until Valentines day!) have a look at his website for a great range of plants. This group was started in 2000 from nursery stock plants bought at the local garden centre. Initially it was five trees, but I added more as the group was developed. This juniper came from a neighbours front garden. Had to be removed because they had the front paved over and I was fortunate enough to get my hands on it for nothing. 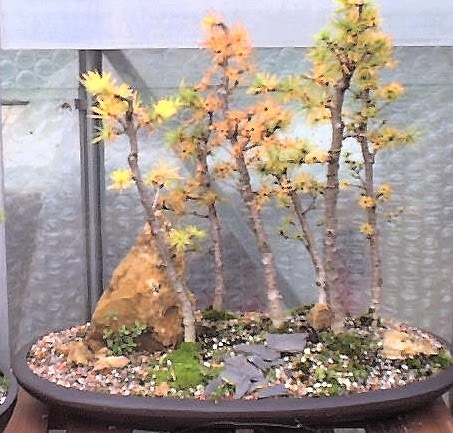 It's a golden form of juniper, most likely "Old Gold" and the foliage is quite feathery. Does not make the nice compact foliage clouds you would get from a Blaauws or Itoigawa, but makes a nice image. I lost most of the pictures of this tree due to a harddrive failure, so these are the only shots I have. 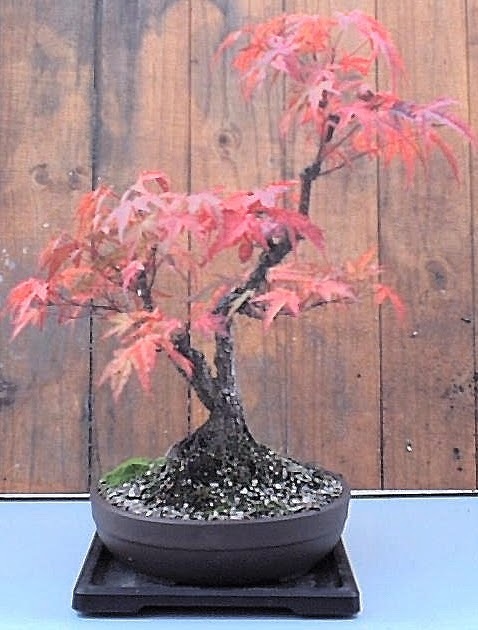 This Maple was bought from the "Bargain Section" at Greenwood Bonsai Studio in 2002 at the princely sum of £45. Not sure why I have taken so few pictures of this tree over the years. Not much to do on the bonsai front this month, so i spent some time organising the photos on my computer and found some early shots of some of my trees. I thought it may be good for some to see the progression over a number of years. First up my Cork Bark Maple. This was started from a cutting back in 1988 (if I remember rightly). 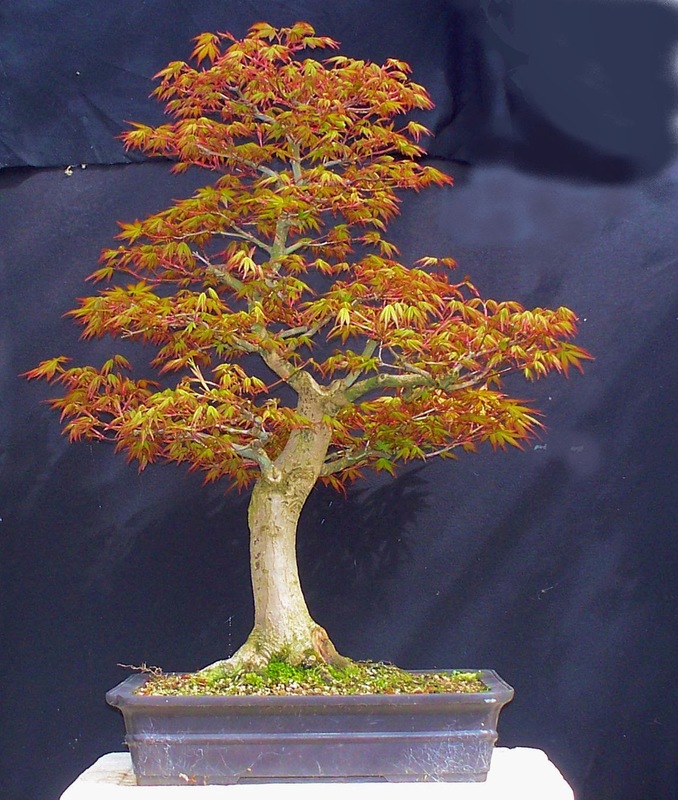 It is not as vigorous as a grafted maple and seems to grow very slowly. 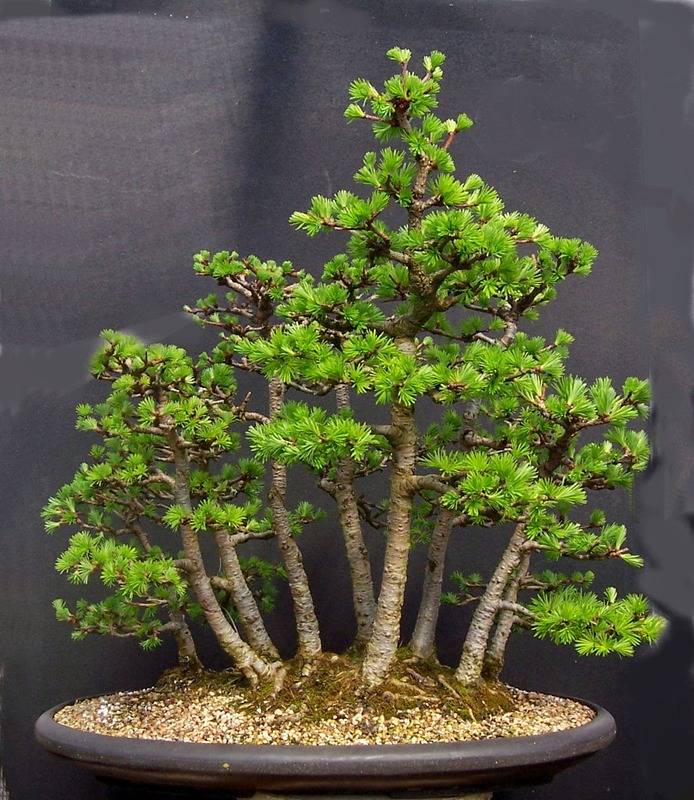 It was grown in a large plant pot and then planted into its first bonsai pot in 1999. 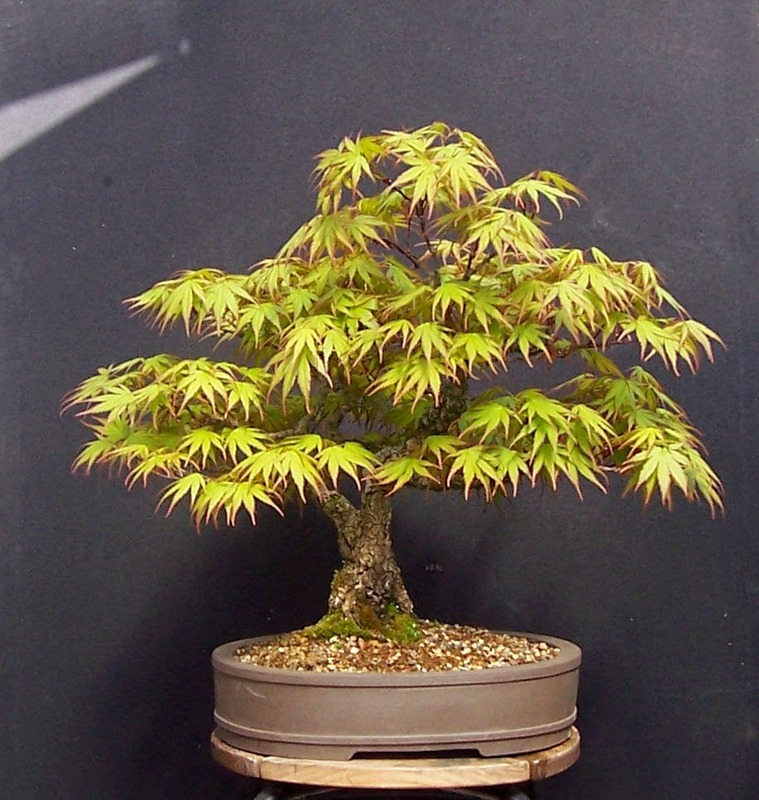 This Web Log and Images of my Bonsai Trees by Mike Konig (aka Mikobonsai) is licensed under a Creative Commons Attribution-Non-Commercial-No Derivative Works 2.0 UK: England & Wales License.